During these weeks leading up to the electoral reform referendum, I’ve been giving a lot of talks, making the case for switching to a system of proportional representation (pro rep). Invariably, during Q&A, I get asked how I personally plan to rank the three reform options on the ballot’s second question. 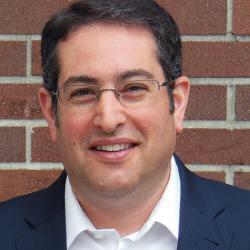 But until now, I’ve resisted publicly answering this question; how one ranks the reform options is a personal choice. I like that the Attorney General chose to include the second ballot question, thereby empowering voters to make that choice and guide the decision about what form of pro rep we will have (should a majority choose to change our electoral system in Question 1). But people keep asking what I will do. So, for what it’s worth, I’ve decided to share my own, personal, rankings. All three pro rep models are a huge improvement over the status quo, so there are no wrong answers to Question 2. I like all three models. All three produce proportional outcomes, meaning a party’s share of the popular vote will be reflected in their share of seats in the BC Legislature. All three preserve local representation, albeit in slightly different ways. And, contrary to the misleading claims of the ‘No’ side in the referendum, under each system no region will have fewer MLAs than they currently have. That said, each of the three pro rep options has different strengths, and how you choose to rank them depends on what is important to you. We all value somewhat different things to different degrees when it comes to what we are looking for in our democracy, and your own values should guide your ranking. We get to test drive any new system for two elections. The Attorney General has done us a service by committing, in law, that should British Columbians vote to change the electoral system, there will be a second “confirmation referendum” after two elections under the newly chosen system. That’s great, as it takes the risk out of the choices before us, allowing us to experience a new system first-hand. 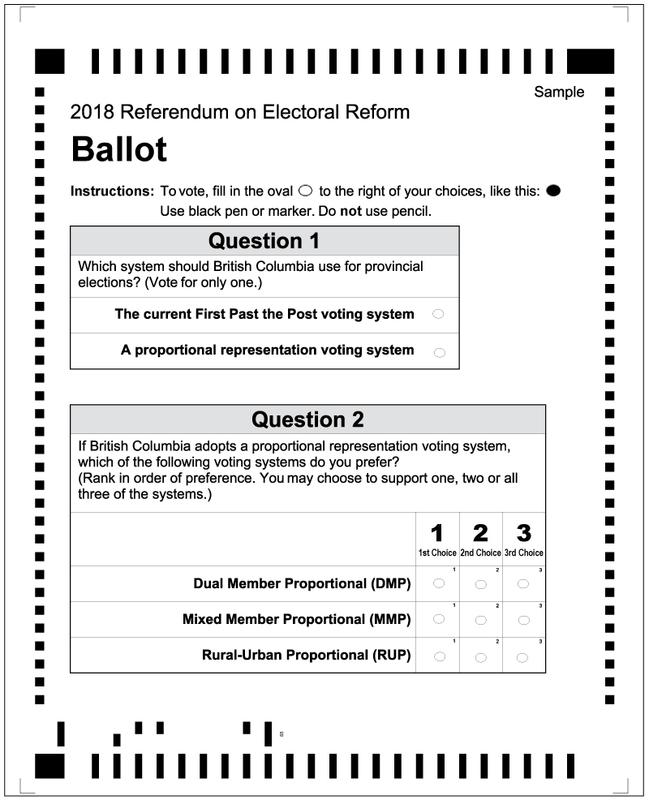 Under Rural-Urban, the large majority of British Columbians who live in urban and suburban settings would be voting using the single transferable vote (STV)—the same system that was recommended by the BC Citizens’ Assembly on Electoral Reform, and which was on the referendum ballot in 2005 and 2009. I voted ‘Yes’ to STV both those times, and came to be a fan of the system. Of the options before us, STV gives the most power to individual voters, as it lets us rank as many individual candidates in our riding as we wish, regardless of their party affiliation. Each party will put forward a selection of local candidates, and we as voters are empowered to say which of them we most like. We are also free to “mix it up;” your first choice may be from one party, while your second choice could be from another, and so on as you rank as many as you want. Under STV, every MLA is accountable to a local riding. STV is also the system most likely to see independent candidates (those running unaffiliated with any party) win some seats. That’s because in ridings electing between four and seven MLAs, a candidate can win a seat by securing the support of 15–25% of the local voters—something that an independent with a strong local profile and base could well achieve. So the independent-minded person in me finds this feature attractive. The main critique of STV (and likely an important part of why it didn’t get a majority in the 2009 referendum) was that it has some downsides for rural ridings—most notably, rural ridings under STV have to become geographically very large in order to accommodate multiple MLAs. The beauty of Rural-Urban is that it fixes this shortcoming: rural ridings under Rural-Urban wouldn’t use STV, but instead would vote using Mixed Member. Consequently, instead of rural ridings needing to become two to four times larger, they only need to become about two-thirds larger than now (effectively the same size as they currently are federally). Given this, I see Rural-Urban as a very innovative solution to British Columbia’s unique needs and geography. For me, Mixed Member comes a close second. I like how it creatively combines local ridings and regional MLAs to produce an outcome that assures both local accountability and overall proportionality. And kudos to the Attorney General for “tweaking” how Mixed Member is used in other countries, making the party lists regional rather than for the whole province (as is conventionally done). By doing so, he is able to ensure that no region will have fewer MLAs than currently, and that every MLA is accountable to either a local riding or region. My third place ranking of Dual Member is by no means meant to disparage it. Dual Member’s principal strength is that every MLA would be tied to a local riding, just as they are now (so if that’s very important to you, this system may be for you). But, in my estimation, while the ballots under Dual Member would be the simplest (and most similar to what we have now), I find it more complicated to explain how the votes are counted than under Rural-Urban and Mixed Member. And my sense is that, with only one vote for one pair of party candidates, Dual Member opens up less new choice to voters compared to the two other options. Fair Vote has very helpful descriptions of each pro rep option; and the VotePRBC coalition has nice summary descriptions of each system. Whatever you do, don’t let the fear-mongering and misinformation coming from the referendum’s ‘No’ side get in your way. Vote for what you want.